Quite some time back Kingston was kind enough to send me their v100 128GB SSD for review. Due to my travel back to India, I had to stall the SSD shipment since I wouldn’t in the US by the time I would have received it. Once back here, I had to further delay since I had planned to take a short week-long vacation to Mangalore. While the SSD was in transit, I started researching on how would I be able to fit the SSD into my laptop, with the SSD as the primary drive and the existing Seagate Momentus 7200rpm hard drive as the secondary drive. Digging up the Envy 14 manual, I was under the impression that having both drives would be possible. Soon as I got the SSD, I set about ripping apart my Envy 14, only to be dismayed. While you can certainly add a second drive, it’s by no means user replaceable/serviceable and seems to be tightly sealed off. So I had to dump my plans to have the Seagate HDD as the secondary internal HDD and was forced to convert to an external USB 2.0 hard drive ( criminal, I know!) using this Transcend StoreJet case for an internal drive. Replacing the existing hard disk, however was simple and straightforward. Had to slide off the battery cover, remove the battery, unscrew the 4×2.5MM screws holding the drive and slide the HDD off. Trying to fit in the Seagate internal HDD into the case, however, took a little bit more effort – nothing substantial though. 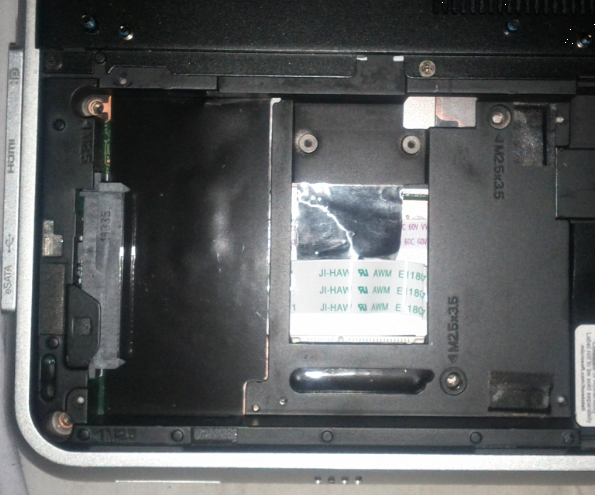 I had to unscrew the mounting brackets & the metal guard so that the drive could slide in. I’ll have the SSD review up in a day or two. For now, I’m enjoying the zippy response and near instant resume from sleep à la my Cr-48. You owned and used a Dell laptop until now. Recently you purchased an HP Envy. What factors influenced you in choosing HP over Dell or even Acer, Asus for that matter? No beer for short answer. Save $250 when installing or upgrading to Microsoft Visual Studio Professional Edition! I'm in the process of purchasing an Envy 14 laptop. I love the fact the new generation of Envy 14's are coming with a ATI Radeon 6630 graphics card and the processor comes stock with an i5 processor. I'm not looking to increase the fraps on my envy but I'd like to quicken the cold boot and sleep to on mode. 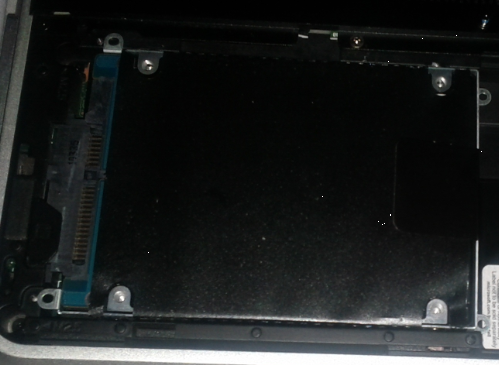 The SSD drive replacement looks like a cheap and yet simple method to further increase the performance of my laptop. I would have chosen to upgrade my laptop from HP when purchasing, but I see that manually replacing the HDD will be a cheaper method. My budget for a new SSD is roughly $150, I was wondering if I could be led in the right direction as to what SSD's are available on the market at that price where I won't make significant sacrifices in terms of the integral functions an SSD should perform.